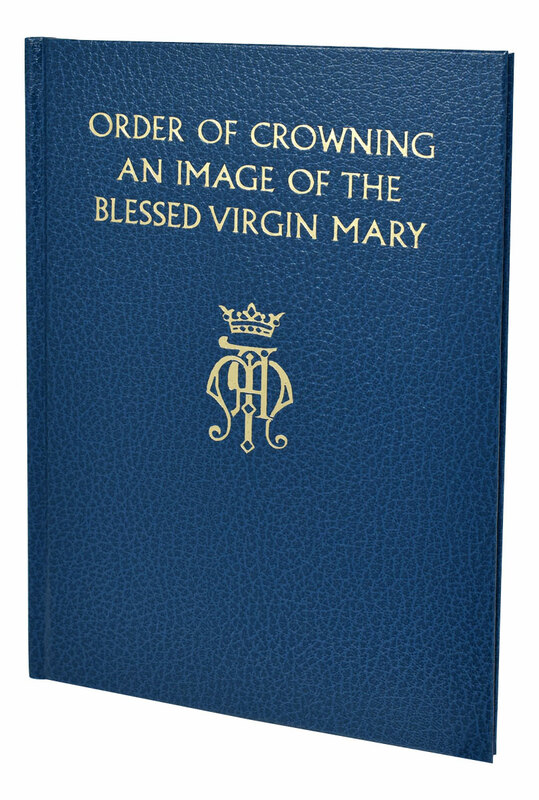 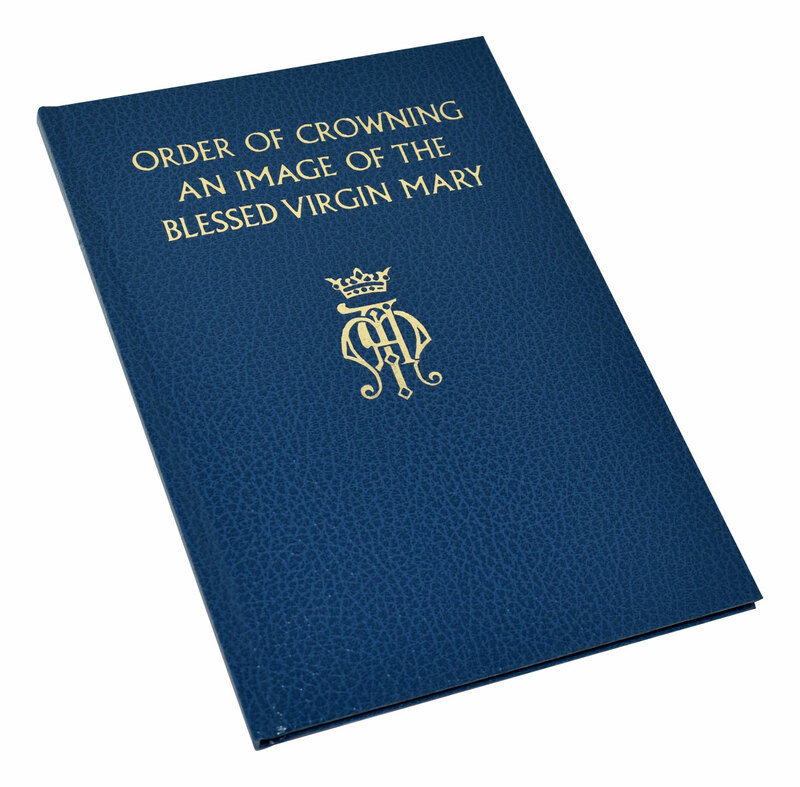 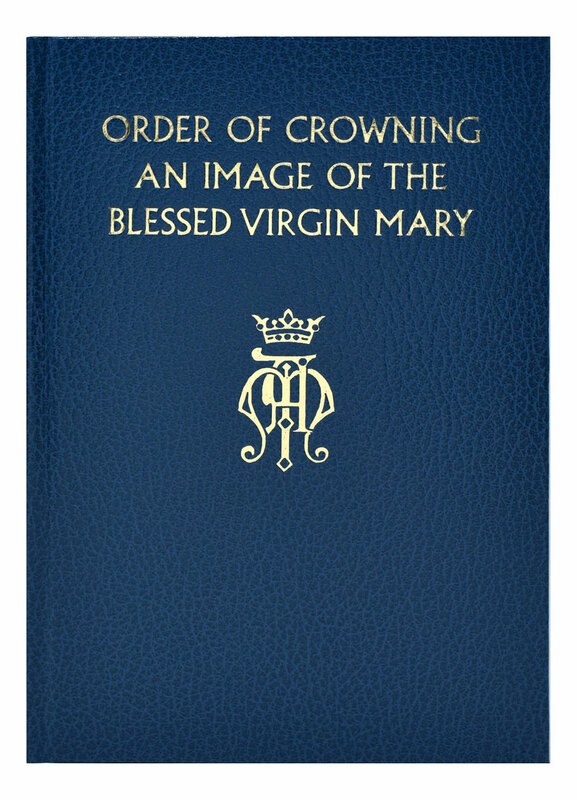 The Order of Crowning an Image of the Blessed Virgin Mary from Catholic Book Publishing is a new edition of the crowning rite that offers three ways in which this popular ritual may take place: (1) within Mass; (2) within liturgical Evening Prayer; and (3) within a celebration of the Word of God. 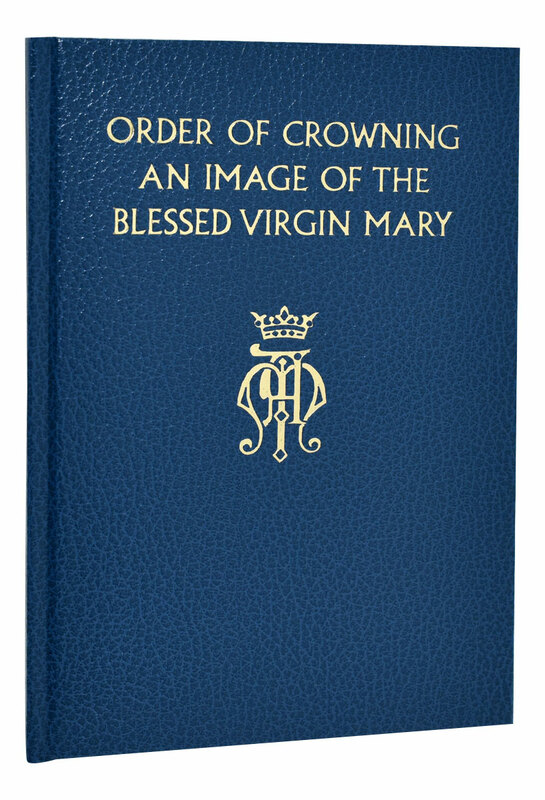 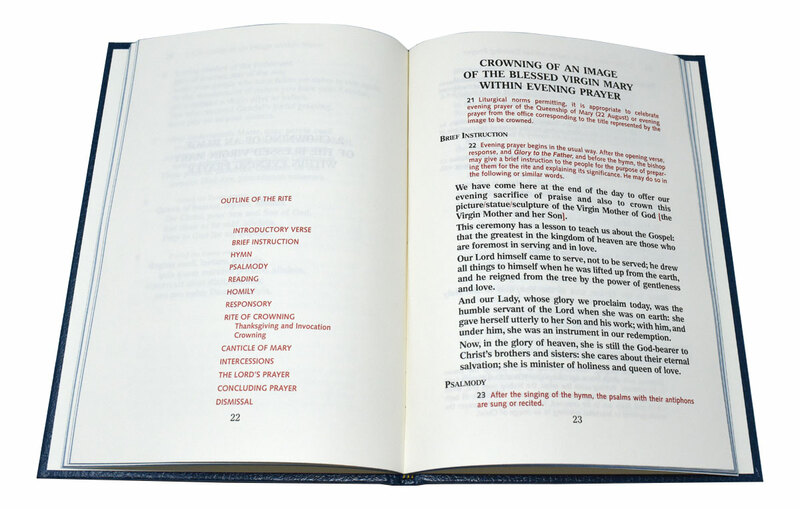 The texts of the rites are printed in two colors and are preceded by an introduction containing an informative Vatican decree that sets this popular custom within its historical context and emphasizing the significance of Mary as mother of the Savior. 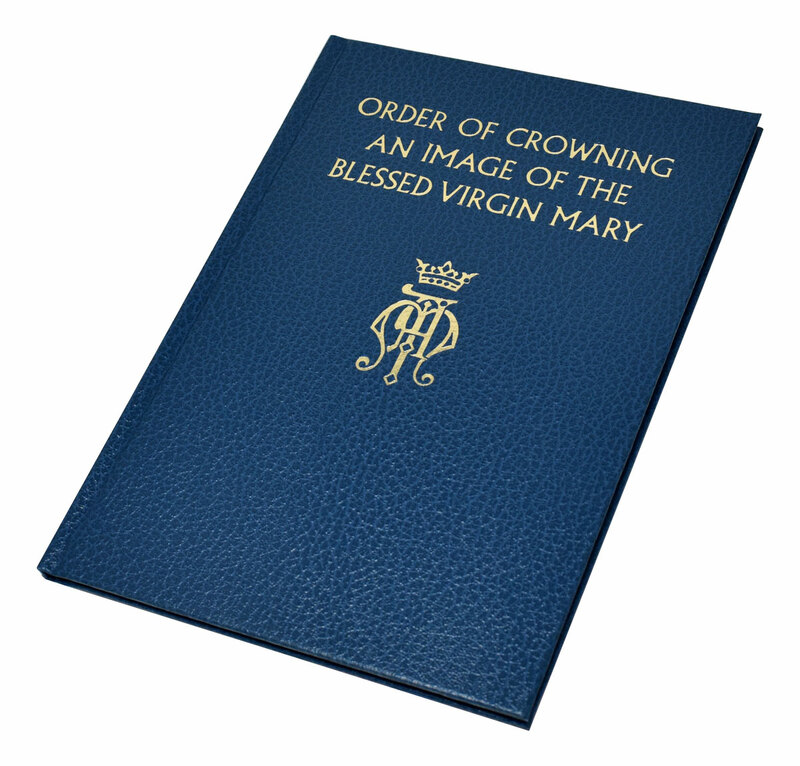 This book is durably bound in an attractive blue cloth cover.